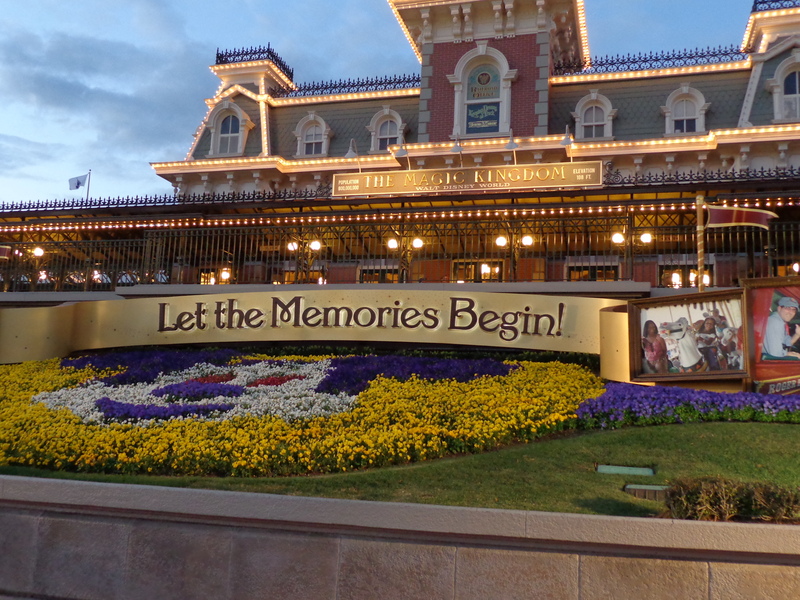 As the plane slowly taxied after landing on a runway at Orlando International Airport I peered through the small rectangular window, my eager little eyes expecting to see the castle and the rest of the Magic Kingdom. Instead, my gleaming eyes quickly changed to gloom at the sight of long grey runways, drab grass fields, and a cumbersome airport terminal. There was something else that was supposed to be a part of the landscape outside of my window and it was missing. As my eyes slowly and carefully scanned the surroundings I grew increasingly disheartened. Where were Mickey Mouse and all of his pals? Where were Goofy, Donald, and Minnie Mouse? Where were we? I had been tricked! “I thought we were going to Disney World!” I blurted out without further hesitation. The words seemed to echo through the cabin of our airplane. While those around me found much humor in my plight, I did not care. I was upset, and I wanted everyone to know about it. I found nothing funny about being tricked into thinking we were going to Disney World, only to find myself flying to this place. 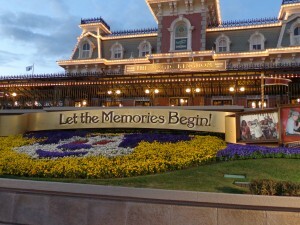 Or was this place really Walt Disney World? Had I misunderstood what Walt Disney World would be like? Had my image of Disney just been a giant misconception? No, this can’t be Walt Disney World. There was no castle at the end of the runway and Mickey Mouse was not standing outside my window waving to me. I had been duped. In a brief moment of thought following my words, all of my hopes for the week ahead of me collapsed. It didn’t take long for my parents to interject in an attempt to calm their panicked son. They assured me that we were going to Walt Disney World, and this wasn’t it. Phew! The disappointment of the drab airport faded away as the realization that this isn’t Disney set in. How often as Christians do we develop presumptions of what Christianity is really all about that are not in accord with the true meaning we find in scripture? We gather what we have been taught through tradition, education and experience forming for ourselves a picture of what Christian living is all about. Like myself on the airplane as we landed, we know exactly what things are supposed to look like, or should I say what they are going to look like…but oftentimes we neglect to see what is really there. Scripture is our window to real Christian living, yet all to often we continue with our experience and education without ever gazing through the window of truth. Had I not looked out the window of the airplane I was on I would have continued to think that Mickey Mouse was waiting for me outside of the airplane, but that would not have changed the fact that he was not there. It was not until I looked through the window of reality that the assumptions I had made were broken to the realness of what was. Likewise, we cannot continue assuming that we are correct in our faith without watching through the window to see what is really there. My intent is not to point a finger towards areas where we, as Christians, have disobeyed particular foundational rudiments of scripture. I am in as much of a position to pass judgment as the Pharisees and Scribes were who brought the lady caught in adultery to Jesus. As Jesus warned them ‘let he without sin cast the first stone,’ we are brought to the realization that we have all been in the adulterer’s position of sin. How then can we pass judgment? Again in Matthew Jesus spoke to judge not lest we be judged according to the same measure (Matthew 7:1-2). While we are told not to judge as the Pharisees judged, we must understand that this doe not mean we should not recognize what is wrong nor address those issues. We should judge according to righteousness and not according to actions or appearances as the Pharisees did (John 7:24). In that light, I fear that it is our righteousness that we are slowly sidestepping away from, as if we are attempting to evolve Christianity into a comfortable, trendy way of life. Christian living, however, is not about comfort. The gospel message is not one of financial prosperity. When we accept Jesus as our Savior everything does not automatically go our way. Christian faith is not an eradication of the trials we face in our lifetime. True Christian faith is about a relationship with our Creator and in that saying “God, I am going to serve you in spite of my circumstances”. If anything, we find in scripture that following Christ will bring about additional persecution and hardship to our life. Paul wrote “everyone who wants to live a godly life in Christ Jesus will be persecuted (2 Timothy 3:12 NIV).” James wrote in the beginning of his letter to consider it pure joy when we encounter trials of various kinds (James 1:2). Look at some of the hardships that the apostles endured for the sake of their faith: imprisonment, mocking, stoning, beheadings, and crucifixions. This hardly sounds like an ‘easy street to joy and prosperity’. While modern American Christians may not be subject to such barbaric persecutions thanks to human rights standards, that does not mean we are to have a walk down easy street. Beyond the persecution that the apostles faced, there was another calling. As Paul wrote in Romans 12, it is for us to present ourselves as living sacrifices. Sacrifice is not comfortable, it is going beyond what we want, and stepping into what God has called us to be. When we present ourselves as a living sacrifice to our Creator we bid farewell to the comfort we have grasped so tightly to in order to release ourselves fully into His Kingdom. It no longer remains about us, about gaining wealth, status, and mortal happiness, rather we become driven to serve and follow Christ no matter the cost to us. Am I saying we should enter into a life of doom and gloom; that we should sell all that we have and exist in a life of poverty for the sake of the call? As I sit in a nice home, with a car parked out front, typing on the computer in front of me I can assure you that is not what I am attempting to portray. Material is not evil, but material is also not good. It is a tool, a resource at our disposal. The point that I am reaching for is that we should begin to check where our heart is in line with scripture. Are we closing our airplane window to the reality that exists so that we can serve a sugar daddy God, or are we constantly looking through the window to the truth that exists, allowing our thoughts and our actions to be permeated by His word? It is easy to serve a God that wants to allow the world to revolve around ‘me’, but can we still call Him Savior when we have to lose it all for the sake of His name? Can we still passionately lift our hands and voices in worship to a God that says we will endure hardships for his name? It is time for Christians around the world to pull open the blind covering the window of the airplane they are in and say, “God, I want to know you. I want to know what it means to serve you, and not myself. I am willing to lose it all for the sake of your name”.